Huge Bar! Weighs 6.5 ounces! 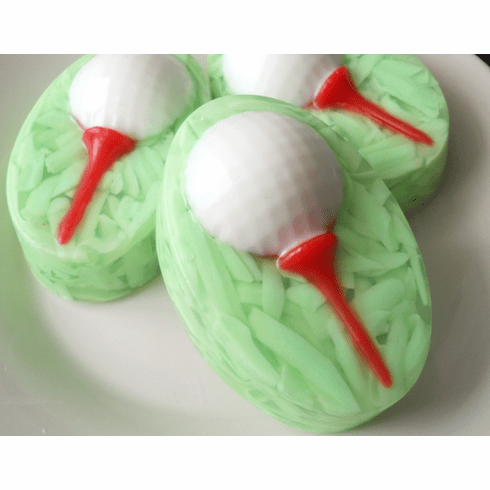 This soap is great for the men in your life, especially those that love golf or sports. Made with 100% detergent and SLS-free vegetable glycerin soap, this soap is vegan friendly as well. It is scented with a fragrance oil that is our impression of Cool Water cologne for men. Comes wrapped as a ready-made gift in a clear box and raffia bow. I can add a gift tag to the box as well. Just let me know at checkout or email me.